Number of European clubs are set to increase their stadium capacities in next few years Chelsea stadium expansion plan is set to take Stamford Bridge’s capacity from 41,600 to 60,000 spectators while Barcelona’s Camp Nou will be expanded from 99,350 to 105,000 by 2021. Tottenham are set to build a new stadium all together with a capacity of 61,000. 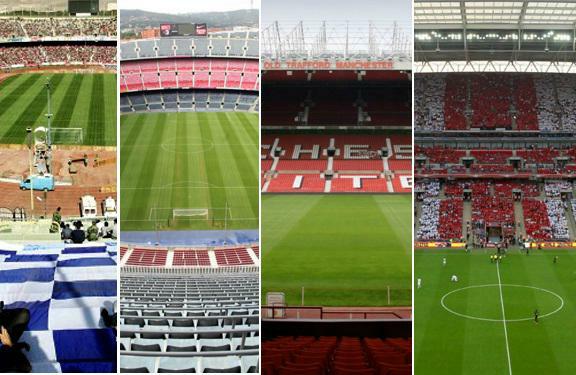 We take a look at some of the biggest football stadiums across different regions. These days its mostly used for football matches, specially the home games for North Korea’s men national team but other sports like “mulitsport” event also takes place in this stadium. 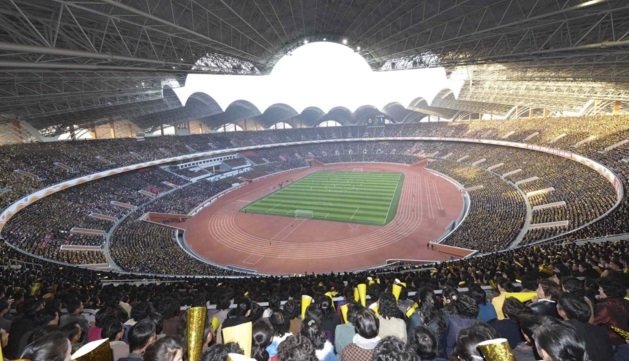 Its unfair the call it the biggest football stadium because of the fact the purpose behind its construction was more of multipurpose rather than just dedicated football events. Azadi Stadium was built in 1973 and since than has gone through renovation twice taking its official capacity to 95,225 but it can easily hold in region of 100,000 to 110,000. Highest recorded attendance on this stadium was 128,000 back in 1998 world cup qualifier game against Australia. Historic football stadium home to FC Barcelona, Camp Nou is the largest European stadium with a total capacity of around 99,400. Camp Nou was built in between 1954–1957 and officially opened as home stadium for FC Barcelona on 24th September 1957 known as “Estadio del FC Barcelona”. Barcelona has already announced the plan for its second expansion which will start from 2017 and finish in 2021 taking its total capacity to 105,000 with state of the art facilities making it the most modern stadium in the world costing around €600 million. Azteca Stadium is located in outskirts of Mexico City called Santa Úrsula. With the official capacity of 95,345 it is world third biggest and the largest in American region. 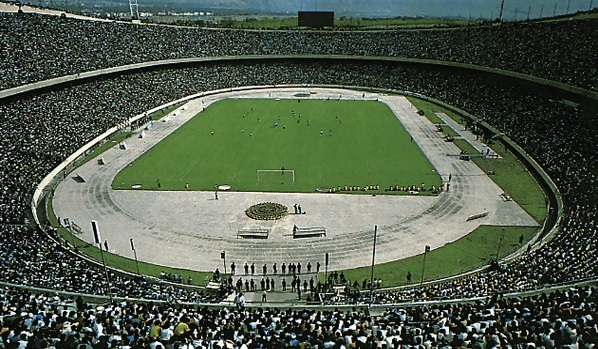 It was officially opened back in May 1966 and has been home to Mexico’s most successful team “Club América” since 1966. While it host Mexico national football teams home games since 1966. Two historic world cup finals were played at Azteca stadium in 1970 when Pele guided Brazil to world cup glory and Diego Maradona inspired Argentina’s 1986 world cup win at this vary ground. South Africa’s First Nation Bank Stadium in capital Johannesburg has the capacity of around 94,736 making it the biggest in African region. It is also known as “Soccer City” and hosted the world cup 2010 final between Spain and Netherlands along with other 5 group games, 1 round of 16 match and 1 quarterfinal. First opened in 1989 has gone through expansion and renovation before the 2010 world cup taking its capacity from 80,000 to record 94,736. Below is the complete list of top 20 biggest soccer stadiums in the world. The capacity numbers are officially quoted by the stadium authorities. We have not included any multi-sports purpose stadium in the following list. 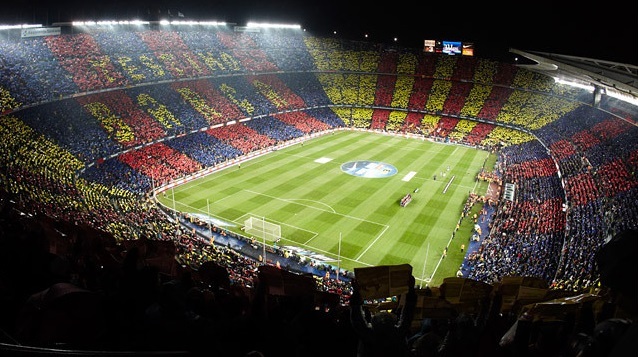 2 Camp Nou (Barcelona, Spain) 99,354 Set to get expansion taking total capacity to around 105,000 by year 2021. 4 FNB Stadium (Johannesburg) 94,736 Hosted FIFA world cup 2010 final between Spain vs Netherlands. 6 Wembley (London, UK) 90,000 Second biggest European stadium, home to England home matches, English domestic cup finals. 7 Signal Iduna Park (Dortmund, Germany) 81,359 Also known as Westfalenstadion and home to Borussia Dortmund club in Germany. 8 Stade de France (Saint-Denis) 81,338 Home to France national teamand hosted 1998 world cup final when France defeated Brazil. 9 Santiago Bernabéu (Spain) 81,044 Home to worlds most successful club, Real Madrid. Spain national team also play home matches here. 10 Estadio Monumental (Lima, Peru) 80,093 The biggest South American stadium home to Peru national team. 11 San Siro (Milan, Italy) 80,018 Italy’s largest stadium with both Inter and AC Milan playing home matches on this stadium. 12 Stade 5 Juillet (Algeria) 80,000 110,000 people watched a friendly game between Algeria and Serbia in March 2010. 13 Maracanã Stadium (Rio, Brazil) 78,838 Back in 1950 world cup final between Uruguay-Brazil a record-breaking 199,854 people watch the game in Stadium. 14 Luzhniki Stadium (Moscow) 78,360 Home to former USSR and present Russian national football team. 15 Atatürk Olympic Stadium (Istanbul) 76,092 Home to Turkish national team and Besiktas club. 16 Old Trafford (Manchester, UK) 75,731 Home to most successful English club Manchester United since 1910. 17 Allianz Arena (Munich, Germany) 75,024 Officially Opened on 30 May 2005, Bayern Munich and TSV Munchen share the stadium. 18 Millennium Stadium (Cardiff, Wales) 74,500 Home to Welsh national football team. 20 Olympiastadion (Berlin, Germany) 74,064 Home to German national team matches while Hertha Berlin also play home games here.